[Liverpool, England] – At the end of Billy Elliot, the adult Billy gets to dance the leading role in Matthew Bourne’s iconic version of Swan Lake. The former boy dancer has got off to a flying start on the path to fulfilling that ambition at least, joining Bourne’s New Adventures company straight out of the prestigious Rambert School of Ballet. 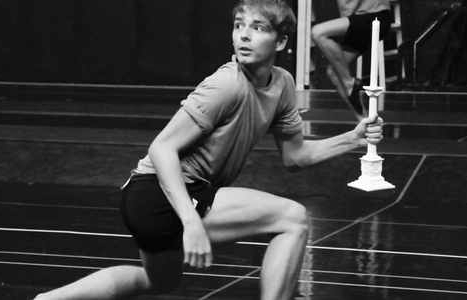 The 20-year-old had long been a fan of the choreographer, having seen his acclaimed male reworking of the Tchaikovsky and Pepita classic when he was “still pretty much a kid”. When he was in his third year at college the chance to audition came up and he leapt at it – although strangely, he for one seemed surprised when he was offered a place. “It was a massive audition,” Liam recalls. “And going in, I was like ‘I don’t think I stand a chance. There are a lot of people here and I don’t even know how they’re going to see most of them’. “So I was quite shocked, and obviously amazed, when I got an email from Matt to say they had a contract to offer me.” His first role was as Cupid in Nutcracker! which came to the Empire last spring. 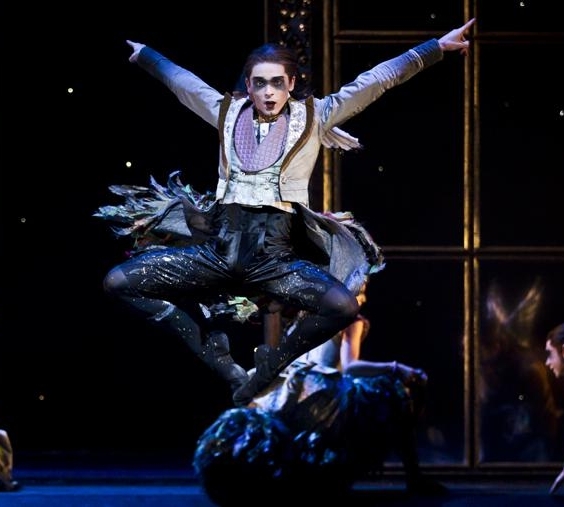 Now he’s on his way back to Liverpool in Sleeping Beauty, Bourne’s gothic-visioned reimagining of the ballet, alternating the roles of Tantrum fairy and Lilac, king of the fairies. “Tantrum is more of an ensemble role,” he explains. “The show is spread over four acts and in each act Tantrum plays a specifically different character – a fairy, then a garden party guest, a sleepwalker and then a wedding guest. The action starts in 1890 – the year the ballet was created, moving through the Edwardian era to modern day when Aurora wakes from her 100 year slumber. “You have all these vampiric ideas which change the whole aspect of the story which is really fun,” smiles Liam. There was a time when perhaps, you sense, dance stopped being ‘fun’ for the talented young performer. The third of four boys, Liam started dancing at nine and was a border at the Royal Ballet School when he won one of the coveted roles of Billy Elliot in the original West End production, scooping a joint Olivier award for his performance. But the gruelling challenge of juggling school and stage appearances took its toll, and once he finished his stint in the show he quit his studies and went home to Hull. Fourteen GCSEs, and a first class honours degree from Rambert later, everything in the garden is rosy. Or possibly lilac. “When I was a kid I always knew this was going to be my job,” he beams.